Home to some of nature's rarest creatures, this landmark attraction is packed with history, Cajun flavor and Louisiana charm. A busy city center isn’t the obvious location for collections of exotic animals and alligator-filled swamps, but that’s where you’ll find Audubon Zoo. It’s uptown on the banks of the Mississippi River, at the southern end of Audubon Park. The zoo is named after the naturalist and artist John James Audubon. It began as an exhibit for the 1884 World Exposition. Over the years more exhibits were added and today the zoo is one the country’s finest, housing more than 2,000 animals in naturalistic enclosures over 58 acres (23 hectares). This is not a zoo to be rushed through. The 100-year-old oak trees, sculptures and historic art nouveau buildings lend the zoo a stately, relaxed atmosphere. Constructed in 1928, the Sea Lion Pool, with its graceful Neoclassical columns, is one of New Orleans’ prettiest spots. Look out for Monkey Hill. Built during the Great Depression, the 28-foot (8.5-meter) high hill was intended to show the children of flat New Orleans what a hill looks like. Say hello to the stars of the zoo, elephants Jean and Panya, and the rare white tiger brothers Rex and Zulu. Explore the African Savanna and Asian Domain, but don’t miss the Louisiana Swamp. Pull up a rocking chair and enjoy the steamy ambience of this alligator-filled lagoon, complete with Cajun houseboat, or try out the four story ropes course. Visit the rattlesnakes, gila monsters and Komodo dragon in the Reptile House. And then meet their ancestors in Dinosaur Adventure, where full-sized dinosaur replicas move and roar. Don’t forget your swimsuit in the often sizzling New Orleans summer. The Cool Zoo playground with its water jets and slides is the perfect place to cool off. When hunger calls, the Flamingo and Zoofari cafés provide plenty of feed-time options. Audubon Zoo forms part of the larger Audubon Nature Institute, which also includes the Aquariumand the Insectarium just a short drive away. Buy tickets individually or as a package, which can include entrance to the IMAX Theatre next to the Aquarium. Audubon Zoo is open from Tuesday to Sunday from 10 a.m. to 4 p.m. There’s free parking, and it’s accessible by city transportation. 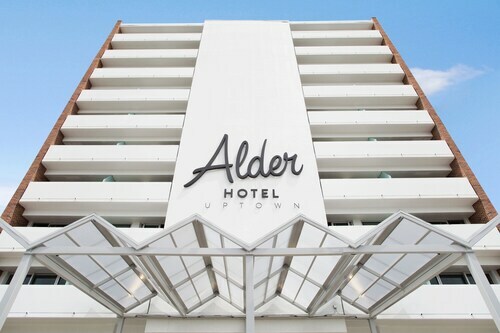 Would you like to make your visit a bit more special? An Audubon Nature Institute Multi-Park Experience Tickets and an Audubon Zoo Tickets are both worth thinking about. Check out our New Orleans things to do page to find even more activities while you're here. This communal park in the French Quarter has a deep-rooted connection to local artists and musicians. Louisiana’s oldest church is the perfect respite from the French Quarter’s busy streets. Personal accounts, films and artifacts provide a thorough and informative look at World War II. Get an inside view into preparations for one of the world’s most famous annual festivals. One of America’s most influential galleries celebrates the city’s rich cultural heritage as well as art from around the world. History lessons and photographic opportunities abound in this famous cemetery, a final resting place for New Orleans residents since 1833. 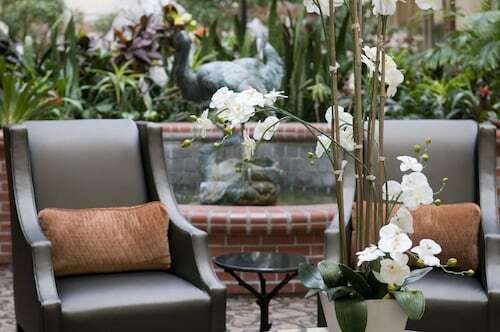 Located in Uptown Historic District, this hotel is within 1 mi (2 km) of Prytania Theatre, Tulane University, and Loyola University New Orleans. Magazine Street and Lafayette Cemetery are also within 2 mi (3 km). 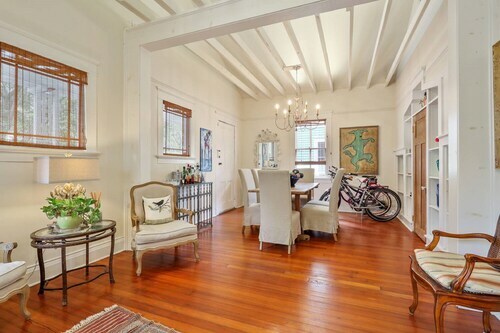 Located in Uptown Historic District, this vacation home is within a 15-minute walk of Magazine Street and Audubon Zoo. Tulane University and Loyola University New Orleans are also within 2 mi (3 km). 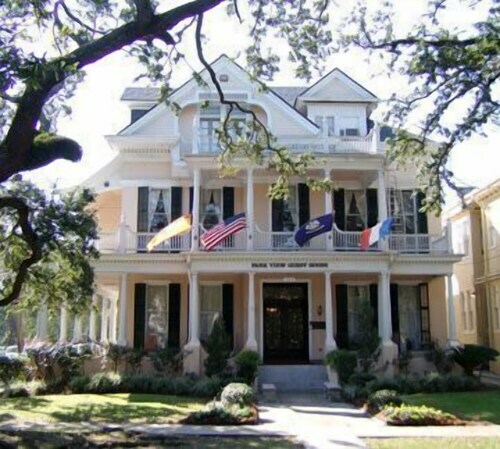 Located in Carrollton, this guesthouse is within a 15-minute walk of Loyola University New Orleans and Tulane University. Audubon Zoo and Magazine Street are also within 1 mi (2 km). 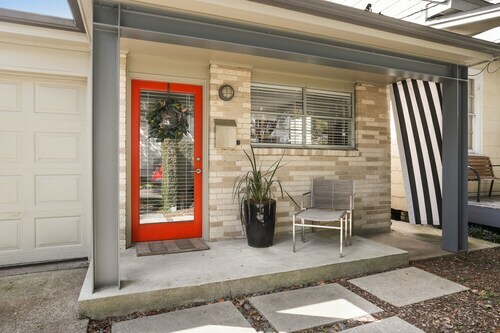 Located in Uptown Historic District, this vacation home is within 6 mi (10 km) of Mercedes-Benz Superdome, National World War II Museum, and Canal Street. Mardi Gras World and Port of New Orleans are also within 6 mi (10 km).